Classic Car Insurance Quote | , McAllen, Mission, Corpus Christi, Laredo, TX. Great Rates! A Classic, Custom, Collectible or Antique Car requires insurance that reflects your vehicle's uniqueness and value. If you own -or are thinking of owning--a special set of wheels, find out about the kind of policy you need. What types of vehicles need special insurance? 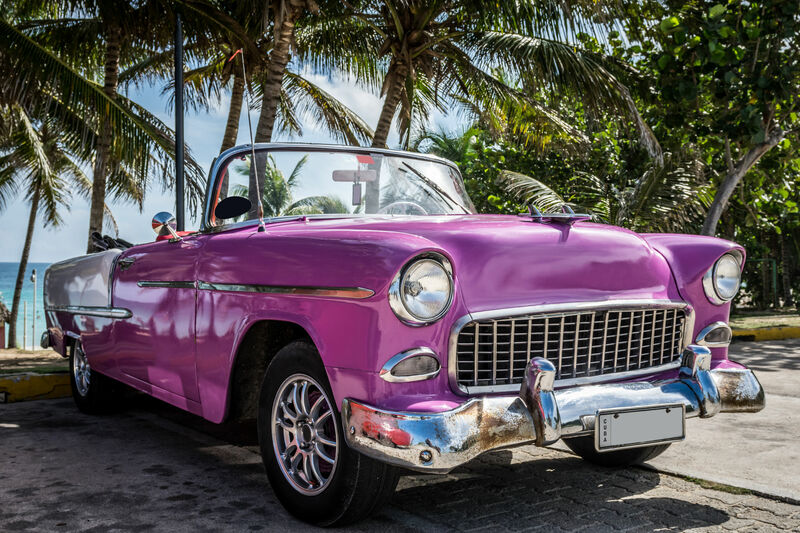 A classic, collectible or antique car is no ordinary car—and regular auto insurance is not sufficient to protect such a vehicle against damage or loss. You might also seek specialized insurance for vintage military vehicles, classic motorcycles and antique tractors. Limited use – Your classic car cannot be used for everyday commuting or errands, and your policy may include mileage limitations and proof the car is being properly garaged if you do travel with it. In some cases, insurers may require that you also own a primary car for everyday use. Car shows and meetings – The limited use provision of a classic car policy allows for travel to car shows and auto club meet-ups; however, this coverage may be restricted by some insurers. If this is the case, there are insurers that can provide specialized coverage for car shows and meetings. Before choosing a classic car insurer, it’s worth checking whether they have travel restrictions if you plan to take your car on regular, multi-day, high mileage drives. Secure storage – When not in use, your special vehicle must be stored in a locked, enclosed, private structure, such as a residential garage or storage unit. A clean driving record – You may be disqualified from classic auto insurance if you have serious offenses on your driving record, such as reckless driving, repeat speeding violations or driving while intoxicated. Not every vehicle, however special, will meet the qualifications of every insurer. For instance, some insurers may not cover vintage off-road vehicles. Insurers may also decline to insure vehicles that are in poor condition or have been previously damaged. Your car's value – Because each car's condition is unique, there is no set "book value" for specific makes and models. The first step in insuring your classic car is for you and your insurer to reach an agreement on the value of the vehicle. This value will be specified in your policy and your car will be covered up to that value without depreciation. Note that, unlike everyday vehicles that depreciate over time as you add miles to them, classic cars may gain value. Make sure you adjust your coverage as the value of your auto appreciates. Specialized repair or restoration – Your policy should you the flexibility to bring your vintage Mercedes, Ferrari or Corvette to a specialist—even if the rates may be twice, or three times, the cost of a typical car repair at a traditional auto body shop. Special towing and spare parts – Coverage for towing is commensurate with the special demands of transporting a classic car. Spare parts coverage, too, needs to be aligned with the cost of replacing valuable and perhaps hard-to-find vehicle components, such as wheels, transmissions, and engine parts. Opting for a motorcycle, instead? Read about motorcycle insurance.